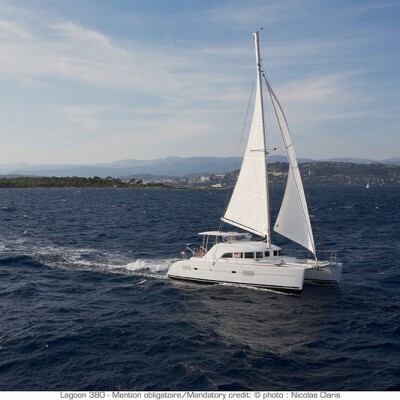 Lagoon 380 belongs to a group of small catamarans but should not be underestimated because of its size. This yacht is equipped with all you need for nice holidays. It comes in two versions – with three or four cabins, depending on the taste or the purpose. The equipment packages range is offered in three levels – Essential, Cruising and Comfort option. Due to its size, this yacht would be perfect for families with children rather than for three or four couples. However, Lagoon 380 is CE certificated A, for 8 persons. The fuel tank holds as much as 200 l while water tanks are a little bit bigger and hold 300 l of fresh water. These numbers indicate that the sailing autonomy is somewhat limited. Larger and more comfortable cabins are placed at the aft and are well isolated from the engine noise. Four-cabin version is equipped with two bathrooms, one at each hull central position. In three-cabin version, the owner’s bedroom is extended with an office (desk) area in the central and separate toilet/shower area to the bow. The saloon consists of three spaces – the chart table to port, galley to starboard and dining area to the front. The cockpit is equipped with a dining table and storage space (which could be used for an external fridge) while transom skirts are well protected. Dining table in the saloon is big enough to accommodate six not too big person(alitie)s while the outside table accommodates the rest of the crew. The helm is located to port, above the cockpit. Although all commands and winches are placed next to skipper’s position, there is a great danger of being hit by the boom if the skipper is tall. Since there is a little space between the boom and the bimini, the skipper has to navigate the yacht with no roof – either being splashed by the spray or rain; or burned by the immitigable sun. 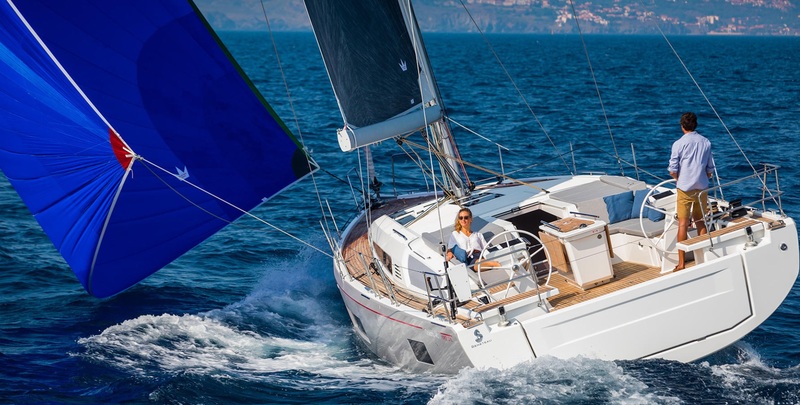 Sailing performances of Lagoon 380 come along with its size – small yacht is a small yacht regardless of how big it is in our eyes. If you do not push her to the limits, and spare her from huge waves, she will respond with decent and relaxed smooth sailing. 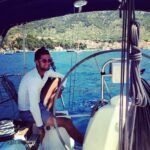 Regardless of some disadvantages, this yacht can provide beautiful moments of sailing holidays on less demanding routes and to sailors with modest requests. 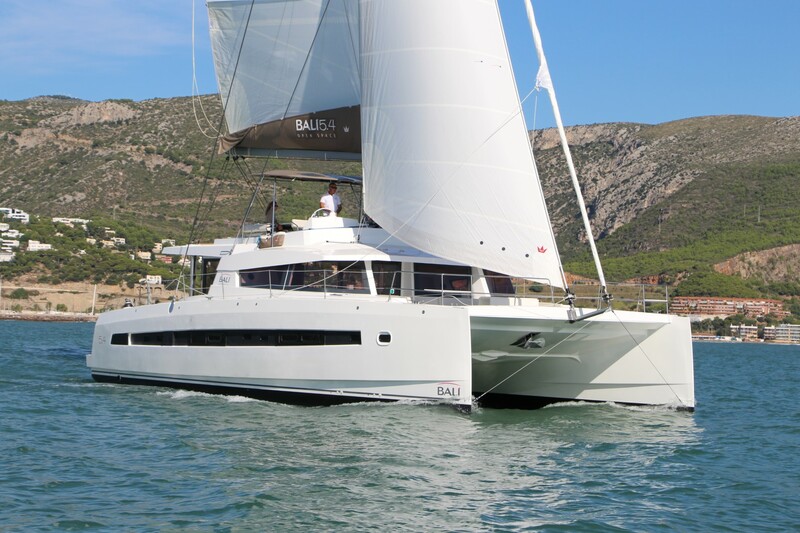 Visit our Sailing Catamaran Yachts page and find out more about special offers and top destinations for your charter catamaran. I’ve been on this boat before, but trying to determine… do you think if we have two families – a total of 4 Adults, 2 teenage boys and two girls ages 6 and 11 sleeping would be ok? 6 years old could sleep with parents. Two boys in one cabin and the 11-year-old girl in the saloon? Thoughts on that? Going from Long Beach, CA to Catalina for three nights.